GoXtra News: ENTER NOW FOR RED BULL KING OF THE AIR 2018! 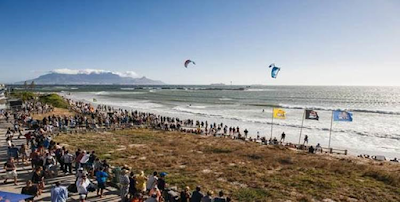 CAPE Town, South Africa – The most extreme big-air kiteboarding contest on African soil is back in 2018! Red Bull Kind of the Air will return for the sixth time in 2018 and entries are open now. Kite boarders who have what it takes to compete with the world’s best aerialists in the most epic conditions Cape Town has to offer need to drop a one-minute edit of their biggest airs on redbullkingoftheair.com. Entries are open to riders from anywhere in the world, but there are only five spots available. The 2018 rider list will be made up of the top 9 from the 2017 event, four invited wildcards, and, the top five from the ranking of the online video competition. Entries for the video submission close on 30 November 2017. The video doesn’t have to be an edited masterpiece; each entrant should just do enough to clearly show off their potential. The 2018 event will once again have a two-week weather window (27 January to 11 February) and competition will take place only when conditions are perfect. The sixth edition will run on the compact format introduced in 2017 which sees only 18 riders in total rather than 24 as in past years, meaning less time to complete the event and best use of available wind and swell conditions. The 2017 edition saw popular Danish rider Nick Jacobsen win one of the most closely-contested finals yet, ousting two-time champ Aaron Hadlow (UK) and Ruben Lenten from the Netherlands who made a huge comeback as wildcard entry. According to Sportive Director, Sergio Cantagalli, heats will once again be run on the now-familiar ‘flag-out’ format and – as in 2017 – with only three riders per heat. For more info go to redbullkingoftheair.com or some insight into what makes a good video entry, read this [HERE]. To read more about what went down in 2017, check this out [HERE].